It's just like a tablet, but bigger. 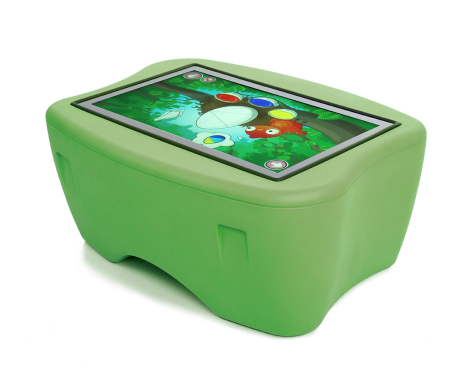 Children and adults, gather easily around the table and simultaneously point, draw, search information, click and act just like on a tablet. 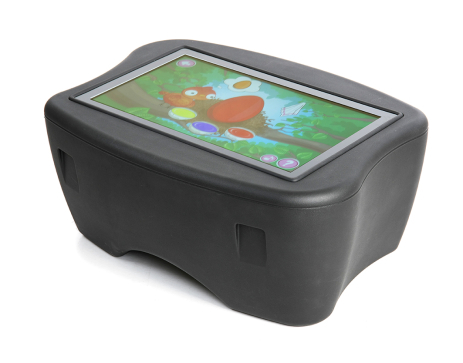 It is sufficiently mobile and stable to be placed in public environments and manage the child's playful handling. Manico FunTable has been developed and manufactured in Sweden by Swedish engineers. The product is CE-certified, PSE-certified, Telec-certified, CCC-certified and RoHS-certified. The plaster in the table is environmentally certified and has the highest environmental certificate. 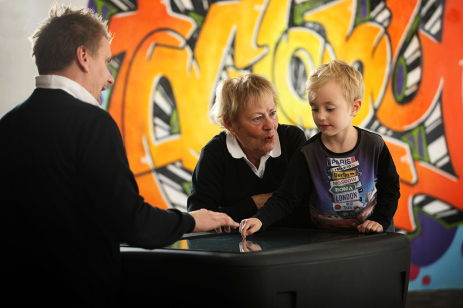 Let the children's creativity flow freely in games and educational programs. Their minds are stimulated to fill in with new knowledge. Their minds are stimulated to make fun of new knowledge. 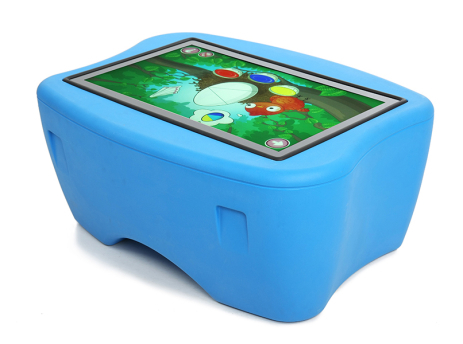 Manico FunTable is an interactive 32" touchscreen built into a stable box. 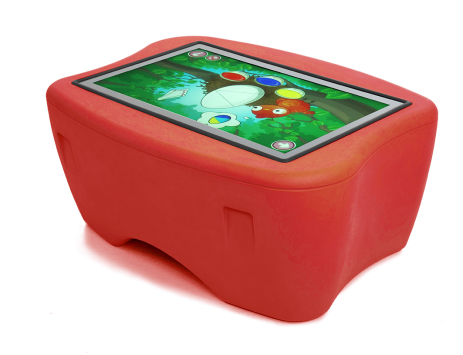 Together with an Android computer, Wi-Fi and a power supply, the table can stand in a school, library, museum, shopping mall or other public / private place to entertain the children in an educational way. The skirt is in a robust table and is durable with its 5 mm hardened anti-glare treated protective glass. No complicated installations are needed – just turn on and start exploring. Apps are available on the Google Play Store or at any of the third party vendors. Manico has its own manufacturing and can therefore offer high quality at a good price. Do you need to review your environment at your workplace? Welcome to contact us! 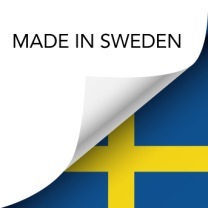 Developed and manufactured in Sweden.